Professional Guttering & Roofing Service offer range of innovative and high quality PVC-U rainwater systems installation. 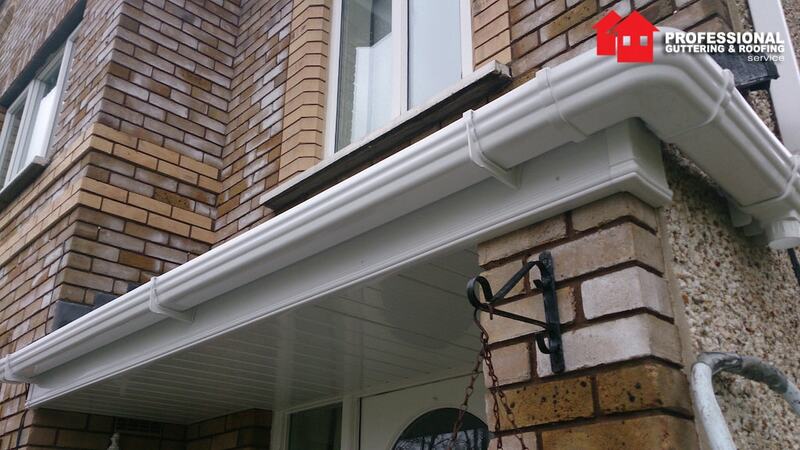 When putting up new guttering the best option is always to use PVC-	U. This will look great and save on maintenance. PVC-U is also long lasting and there is no need for repainting at regular intervals. Damaged or badly maintained guttering can cause real damage to your house, including leaks and brickwork problems that can lead to internal damp and mould. Roof and guttering should be kept in a good condition in order for the property to remain weatherproof. Only regular inspection and upkeep from experienced professionals is the best way to maintain your home. Professional Guttering & Roofing Service have years of experience in gutter repair and replacement. We provide extensive guttering services using innovate rainwater systems. We can ensure you that our Rainwater Systems are solution to the problems associated with rapid heat absorption and expansion of gutters. Each rainwater system is co-extruded with white interior and a range of exterior colours. Our services also include cleaning and conservatory of all types of guttering systems for domestic.